My goal for the upcoming school year is to integrate more technology in the library. I’m going to record the book talks I give and publish them as podcasts. Then a QR code bookmark in the book will link right to the podcast so students can listen to the book talk while browsing and decide if they want to check it out. 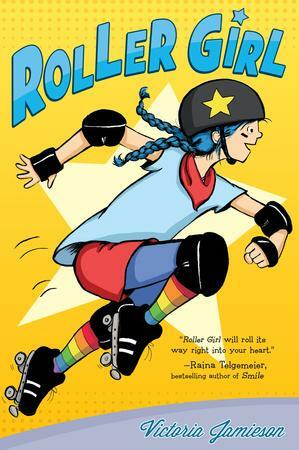 Roller Girl by Victoria Jamieson barely needs a book talk; following Smile, Sisters, and El Deafo, you just need to say the magic words “full colour graphic novel with a female protagonist” and it flies off the shelf!